In addition, there is also increasing evidence regarding the participation of a number of fighters from Central Asian countries, including Uzbekistan, in military activities and combat in Syria. Some became members of different radical groups like Katibat al-Imam al-Bukhari (KIB),  aligning with other local terrorist groups like the Al-Nusra Front  and actively participating in combat operations against Bashar al-Assad’s forces. Estimates on the number of Uzbek nationals fighting in Syria and Iraq vary from only 200  to more than 1500 people. according to different sources. Other famous terrorist groups formed mainly by Uzbek fighters, like for example the Islamic Movement of Turkestan, declared their support for ISIS in 2015, and their willingness to act together. 1. Lack of quality education, both secular and religious. In 2017 out of more than 700,000 high school graduates, only 9% were able to continue their education in higher institutions – a stark decrease compared to the 1990s, when there was enough room to accommodate 46% of youth in universities. The whole education system, starting from nurseries, primary schools to higher institutions, has been facing a number of problems like corruption, excessive hierarchic structure, lack of autonomy, low level of public funding, and outdated approaches to teaching. 2. The high level of population upsurge and migration. 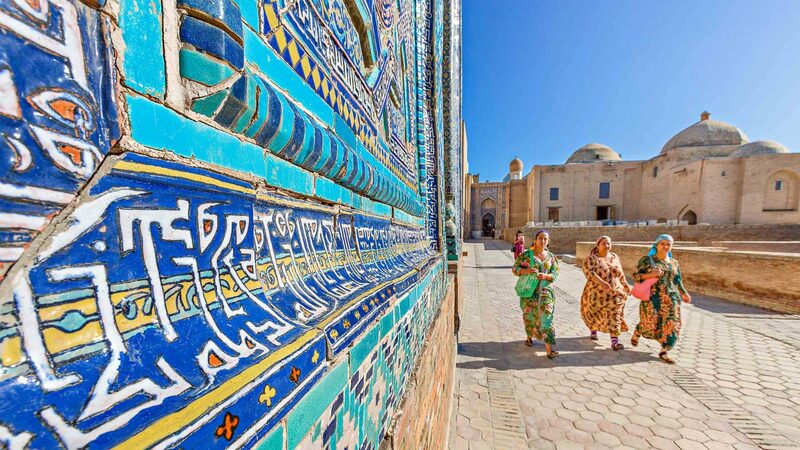 As was mentioned above, the number of youths in Uzbekistan is increasing tangibly, but the economic development and creation of jobs have not been able to keep up with the consistent rise in the workforce. Consequently, a multitude of labour migrants have moved to Russia, Europe, the USA, and other parts of the world. The previously mentioned examples of terrorist attacks executed by Uzbek nationals abroad also demonstrated how all of the attackers had lived (for a long time) and radicalized in the countries where they carried out the attacks. Due to the lack of employment and education opportunities, many youths left Uzbekistan seeking new prospects overseas. However, the difficulties of settling in new countries as well as cultural differences have at times led to their adhesion to radical groups. 1. The most “famous” terrorist group associated to Uzbekistan, the Islamic Movement of Turkestan (IMT), is now rarely mentioned in the media. In August 2015, the group pledged its allegiance to ISIS and announced its support of activities in Afghanistan. In November 2015, the Taliban, who had been angered by this shift of position by the IMT towards ISIS, attacked the group in the Zabul province of Afghanistan, reportedly killing the movement’s leader, Usman Ghazi. The movement’s activity almost stopped after these events and even though there might still be some number of supporters of this group, their number and resources are limited. 2. On the contrary, the popularity of the KIB in different media sources is increasing. The group is now trying to concentrate most of its efforts in Afghanistan. The success of al-Assad’s forces in different parts of Syria decreased the opportunities of KIB to participate actively in battles and reduced the territory under its control. KIB is instead expanding its activity in the northern and eastern parts of Afghanistan (mostly in Faryab and Jowzjan) by pledging loyalty to Al-Qaeda and cooperating with the Taliban. Most of the contemporary radicalization threats to Uzbekistan are external in nature, considering the increasing number of hostile terrorist groups in Afghanistan and the possible return of fighters from Syria and Iraq. At the same time, the presence of KIB is still not widespread, even in most parts of northern Afghanistan, and Tashkent’s current foreign policy in regards to Afghanistan might be helpful in establishing a positive relationship with a range of Afghan political forces, that would be capable of cooperating with Uzbekistan against common threats. The current reforms of state policy on religion should be aimed at the construction of the new and modern relationship between religious groups and public authorities, which will assure the prevention of possible radicalization trends among the youth. The changes in the sectors of education and economic development should also take into account the necessity of creating new opportunities for younger people, the provision of their employment and accessible training at different stages of education. The elimination of visa procedures and mitigation of border crossing procedures between Central Asian countries might also facilitate the movement of the members of radical groups and increase their activity in Uzbekistan. Development of cooperation between security and law enforcement agencies of regional countries can contribute to the prevention of negative activities of these destructive groups.